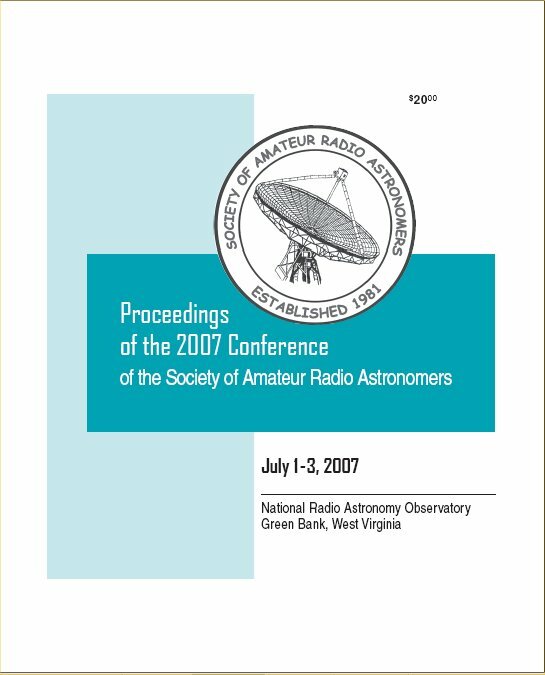 Now available -- Proceedings, 2007 Conference of the Society of Amateur Radio Astronomers. July 2007. Published by the American Radio Relay League. ISBN 0-87259-997-3. 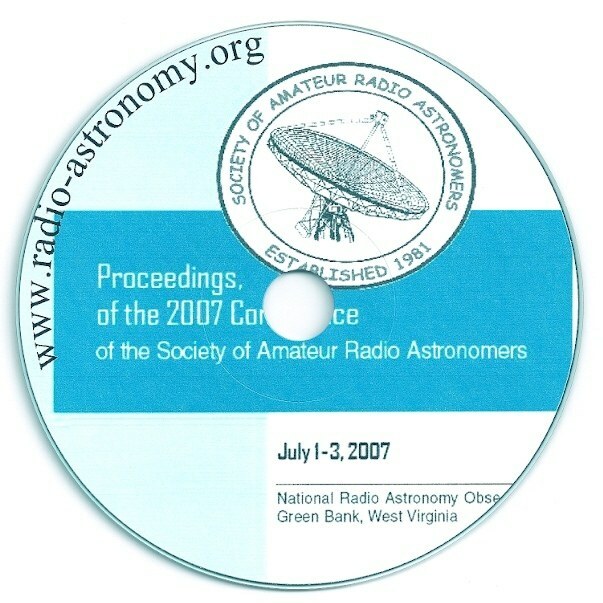 Now available-- 2007 Conference Proceedings on CD-ROM.